For better or for worse, the main draw was always going to be the men and it was set up to be a head to head between the Olympic and World champion and the two-time European gold medallist and hometown favourite. 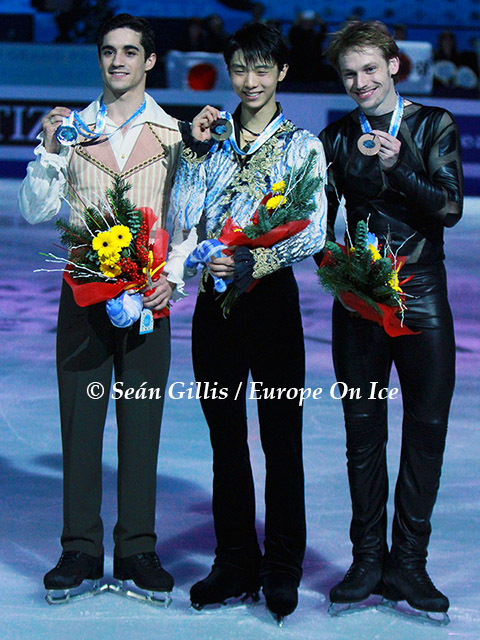 Yuzuru Hanyu scraped into the final after his collision with Han Yan at Cup of China and missing the podium at NHK Trophy, but in Barcelona he was back to his old self with two excellent (if not completely perfect) performances inside the Centre de Convencions Internacional de Barcelona (CCIB). His Chopin short gave him a score of 94.08 and a lead of over six points ahead of his nearest rival, despite falling on the back end of a triple lutz/triple toe loop combination. Hanyu skated even better in the free skating setting a new personal best of 194.08 which coincidentally was exactly one hundred points more than his short and also included a fall, this time on a triple lutz. 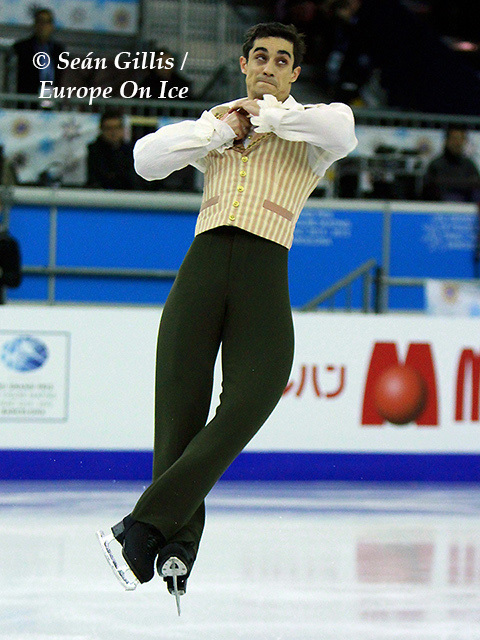 The two-time Japanese champion brought the crowd inside the venue to their feet with his “Phantom of the Opera” programme and bagged his second consecutive Grand Prix Final title with a total of 288.16. 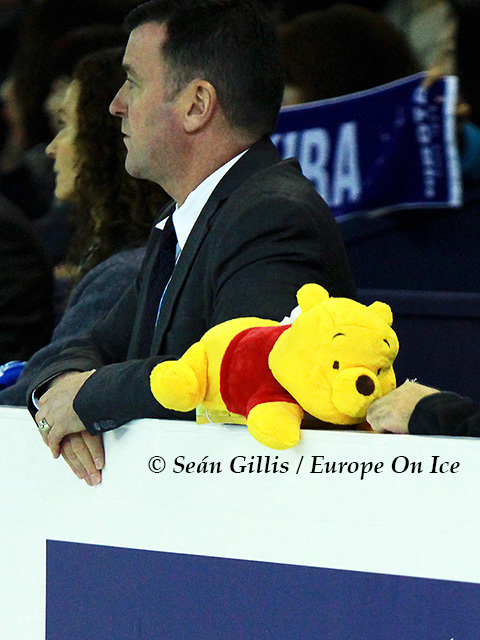 While Hanyu may have won the gold, there was no doubt about who the star of the event was. One can only imagine the amount of pressure on Javier Fernandez’s shoulders – first of all to qualify and then to deliver in what would be his first major international competition on home soil. The reception when he came out to skate his “Black Betty” short was raucous and it turned out to have perhaps unsettled him. Fernandez fell on a quadruple salchow, doubled a triple lutz and fell again out of nowhere. The Spaniard put a brave face on it, but surely fifth place going into the free must have been a huge disappointment. He pulled himself together for his “Barber of Seville” routine however, with a single lutz his only error and clawed his way up to silver over thirty points adrift of his training partner Hanyu. Everyone in the building breathed a sigh of relief that the poster boy of the event would go away with some hardware. Unexpectedly, Sergei Voronov finished third and in doing so became the first Russian man to win a medal at the Grand Prix Final since Evgeni Plushenko in 2004. There were many who felt that he had perhaps been unlucky to be lying in fourth after the short when all the skaters above him had made some glaring mistakes. 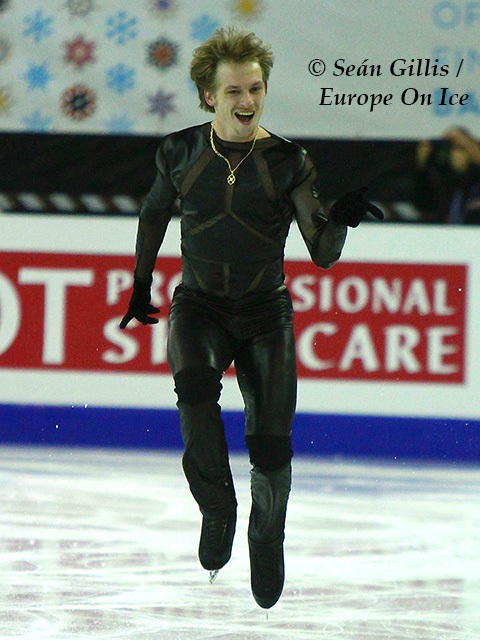 The Russian was able to keep his composure in the free and was clearly delighted with himself for making the podium at the Grand Prix Final for the first time in his career. With two thirds of the qualifiers in the senior ladies being Russian, the likelihood was that they were going to dominate the event and so it turned out. The four Russians occupied the first four spots after the short programme with Elizaveta Tuktamysheva heading the pile. The 2013 European bronze medallist had bounced back this season after a horrendous 2013/2014 that culminated on her missing out on a trip to the Sochi Olympics. This was Tuktamysheva’s seventh competition in the last three months and she saved her best till last with a precisely executed outing of her Arabian themed free. There was not a single negative grade of execution on any of her elements and she racked up new career high scores of 136.06 for her free and 203.58 overall. She also became the first Russian woman to win the Grand Prix Final since Irina Slutskaya in 2004. Elena Radionova also had an excellent skate in the free and she matched the technical score of Tuktamysheva exactly. The two-time World Junior champion had been in third after the short because of a fall on a triple loop, but she did not put a foot wrong in her Rachmaninov free and moved up to the silver medal position. Her free score of 134.85 was just a shade off her best ever. In contrast, Julia Lipnitskaia crashed and burned in her free after holding second place after the short. The European champion fell twice and popped a couple of triples into doubles and continues her battle to find consistency this season. The skater who spoiled the all-Russian podium sweep was Ashley Wagner. The American had repeatedly referred to herself as a great grandmother among the teenagers she was competing against in Barcelona and had been back in sixth going into the free. The 2012 Four Continents champion showed in her “Moulin Rouge” routine that she was not to be written off and will be very happy that the triple flip/triple toe loop that she has been struggling with all season was deemed to be rotated this time. She did receive an under-rotation call on a triple salchow, but that was the only blemish on her protocol. Wagner was the only repeat medallist in the ladies event as she matched her bronze from last year in Fukuoka.